Rob Sharp, left, was the winner of the second annual Hillsboro Rotary Club Joke Contest, coming in just a snicker ahead of Richard Davis in a rematch of last year’s finals, which Davis won. This year, Davis was actually filling in for Wendell Harewood, who made it to the finals but was unable to attend Tuesday’s Rotary meeting. The competition began June 2, and other contestants were Craig Edgington, Shane Wilkin, Sue Hilger, John Knechtly and Anneka Collins. 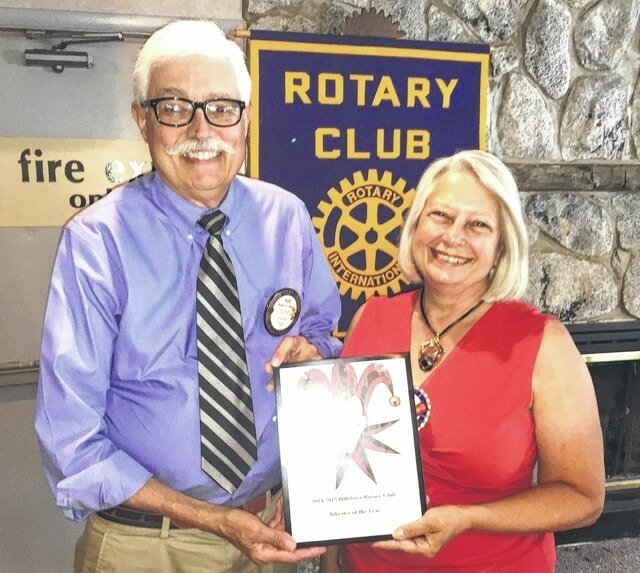 Sharp is shown receiving his first-place award from Rotary President Karen Faust.